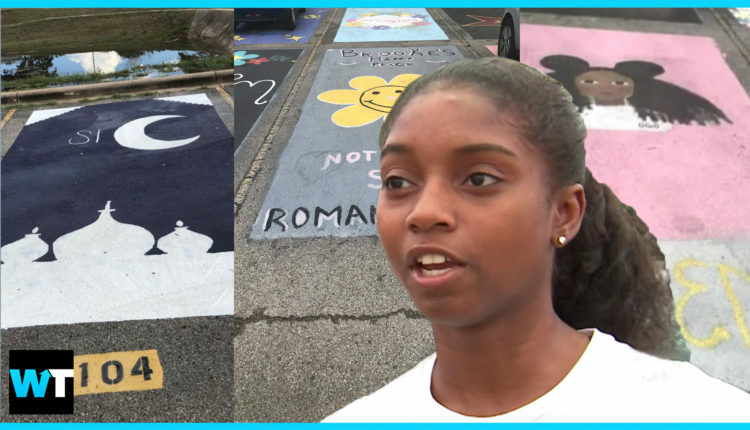 Students at a Texas High School are accusing their administration of discrimination after certain designs for reserved parking spots were rejected, including an image of the Taj Mahal, and the phrase “Black Girl Magic”. Some students at James Bowie High School in Austin, Texas, get a special perk. Seniors with good attendance records get reserved parking spots, which they’re allowed to design however they want. But some students say they were denied approval for their designs and they’re not happy. A student from India said her design of the Taj Mahal was initially approved, but then school principal Mark Robinson told her to make it more obvious that the building represented is not a mosque. For the record, the Taj Mahal is a mausoleum, not a mosque. But, why would it have mattered if it was? And there was no issue with Brooke Wilkerson’s parking space, which includes a Bible verse. Okay, it got a little uncomfortable there when she almost called Islam a cult instead of a religion… But her point is valid. If a verse from the Book of Romans is fine, why isn’t an outline of the Taj Mahal, which isn’t a modern religious symbol at all? Student Kennedy Hartman says that her parking spot was not allowed to contain the phrase “Black Girl Magic.” -Strangely, the school says that’s not true and that they have no record of a “Black Girl Magic” request being denied. But Kennedy showed emails to KXAN that led them to believe that the request had, in fact, been denied. Look, in the grand scheme of things, paintings aren’t parking spaces shouldn’t be a big deal. But every student at a high school should feel like they have an equal opportunity to learn and excel. And if symbols and phrases associated with Christianity and Conservative White America are allowed, then symbols and phrases associated with other religions and races should be allowed as well. What do you guys think? Should the high school make an effort to be more inclusive? Let us know in the comments or on Twitter at @WhatsTrending.